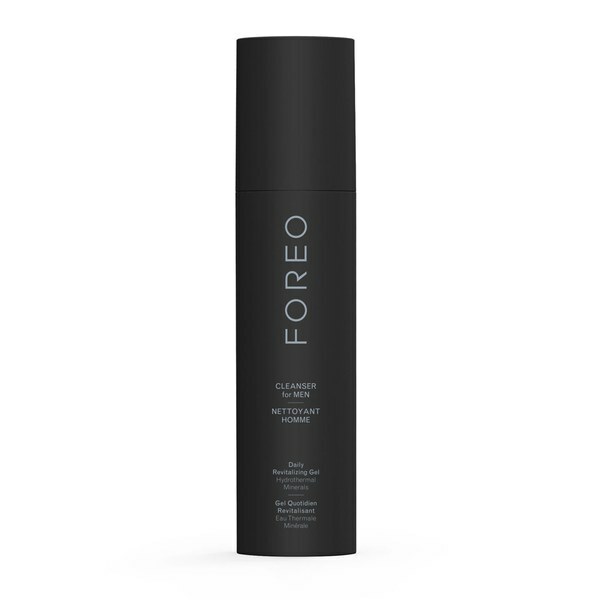 Experience perfectly cleansed skin with FOREO's Cleanser for Men, a transformative gel-to-foam formula that works to lift away dirt, grime and impurities from the skin whilst strengthening and replenishing. Fortified with 96% natural origin ingredients, including detoxifying Moringa extract and regenerative Hydrothermal Mineral Nutrients, the cleanser has been created specially to complement the T-Sonic™ pulsations of the LUNA™ for MEN. Working in unison with the device's vibrations to enhance performance, actives in the blend become stimulated and absorption is maximised for deeper delivery. Its regenerative and antioxidant properties target pores to deliver a deep, penetrative cleanse. Skin feels purified, revitalised and invigorated. Use as part of your daily routine. Apply cleanser to face or your LUNA™ device. Cleanse your face with gentle motions and rinse with water. Hydrothermal Minerals, Moringa Extract, Salicylic Acid. This really got my skin free of blackheads and stopped spots as well as tightening and toning my skin. Enjoyed it so much I bought one for one of my mates too!